The Desert of Souls by Howard Andrew Jones is a sword and sorcery novel set in eighth century Baghdad. The second book in The Swords and Sands Chronicle, The Bones of the Old Ones, was released toward the end of last year, and it is supposed to work as a self-contained story like The Desert of Souls. 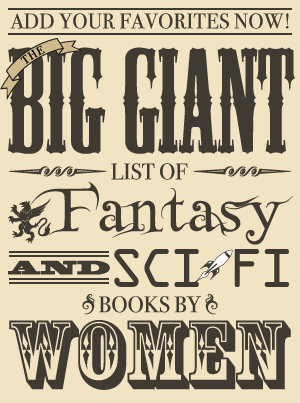 Even though the novels are fairly recent, there have been short stories featuring the same characters written by Jones and published during the last ten years. When Jaffar’s favorite parrot dies, his Captain of the Guard, Asim, decides his master needs a diversion from his sadness. He suggests Jaffar do as his friend the caliph does: go to the market disguised as a commoner in hopes of returning with entertaining stories to tell his friends. Jaffar agrees, and he, Asim, and the scholar Dabir have their fortunes told by an old woman. She prophesies that Dabir will become known as a courageous slayer of monsters, Asim will become a renowned storyteller, and Jaffar will end up beheaded for falling in love with a woman above his rank. However, she also says if they do not go out into the streets immediately, none of these fates will come to pass. As the three head out to the streets, Jaffar comes to the conclusion that the woman confused his fortune with Dabir’s, believing Dabir to be in love with his own niece, Sabirah. Before Jaffar can finish arguing his case, a wounded man falls before them and dies while trying to tell them they need to relay a message to the caliph about door pulls. The three are unsure of the exact meaning of this, but they find some rather magnificent door pulls among the man’s belongings and decide to investigate this matter. Dabir and Sabirah discover they appear to be associated with Ubar, a wealthy city destroyed by Allah. Those who killed the one possessing them may be seeking this lost city, its riches, and the Keeper of Secrets, who exchanges souls for knowledge. When the door pulls are stolen from them, Asim and Dabir go on a journey to find them—but can they work together to stop the thieves with Jaffar’s newfound distrust of Dabir hanging over them? I loved the writing style and thought it showcased Asim’s ability to tell a story very well, and I also enjoyed wondering just how much he embellished. When he told a story to the other characters, it was later pointed out to him by his nephew that some of the details were different last time he told it. Asim reminded him that a good storyteller tailored the story to his audience, and I had to wonder just what he had modified in his story told in The Desert of Souls. 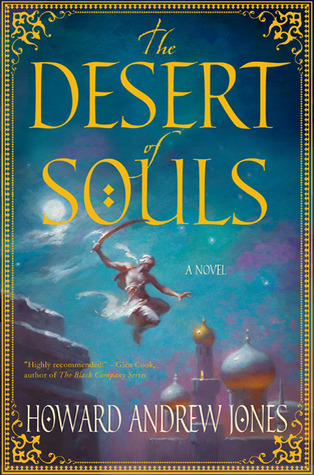 The story itself was fun to read but ultimately not that memorable or original, and I think Asim’s narration was easily the best part of The Desert of Souls. While I enjoyed Asim’s voice, he could be a very frustrating character. To be frank, he could be very numb. There was one point he made a stupid mistake that seemed as though it would end badly, and it was indeed a very costly error. He also started off thinking Sabirah was a “silly girl” when she was quite obviously more intelligent than he was. Despite his glaring faults, Asim is mostly likable since he is brave and honest, but it is both interesting and infuriating to read about a character who can be so blind to the obvious. Asim does have his moments of clarity, though, and there are times when he sees more clearly than even the smartest people around him, which I thought added some nice depth to some characters who weren’t particularly fleshed out. The Desert of Souls is most successful in its narration and focus on storytelling. The narrator has some intriguing quirks with his oversights, but neither he nor any of the other characters are particularly deep. The story can be entertaining, but it’s a conventional adventure with a standard setting and not terribly memorable on its own merits. However, the writing shines by painting a detailed picture with brevity, making it believable that the narrator Asim is indeed a great storyteller, writing down his adventures for the ages.